Saint Thomas Medical Partners - Sumner Medical Group - Gallatin - Steam Plant Rd. 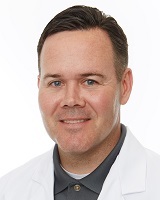 Dr. Hollis was born and raised in Tullahoma, TN. He attended Middle Tennessee State University and graduated with dual Bachelor's Degree in both Chemistry and Biology in 1994. He completed medical school at St. George's University School of Medicine in 1999 and was ranked second in his class. He then completed a 5 year internship and residency in General Surgery at the University of Tennessee Medical Center in Knoxville in 2004. As a chief resident, he was honored with the Laparoscopic Resident Achievement Award given to the resident who demonstrated the most superior laparoscopic abilities among his peers. Dr. Hollis opened his practice at Sumner Regional in Gallatin, TN in August, 2004 and joined Sumner Medical Group as a partner in January, 2013. He specialized is General and Laparoscopic Surgery. His practice scope also utilizes a state of the art Da Vinci robot system to allow him to perform the most up-to-date advanced laparoscopic procedures. Dr. Hollis is Board Certified by the American Board of Surgery and is a Fellow of the American College of Surgeons. Dr. Hollis is married to Ashley and they have two daughters. His main hobby is golf, but he also enjoys hunting and attending sports related events. Fellow of the American College of Surgeons.